Long ago, my grandparents had a place on Lake Huron. 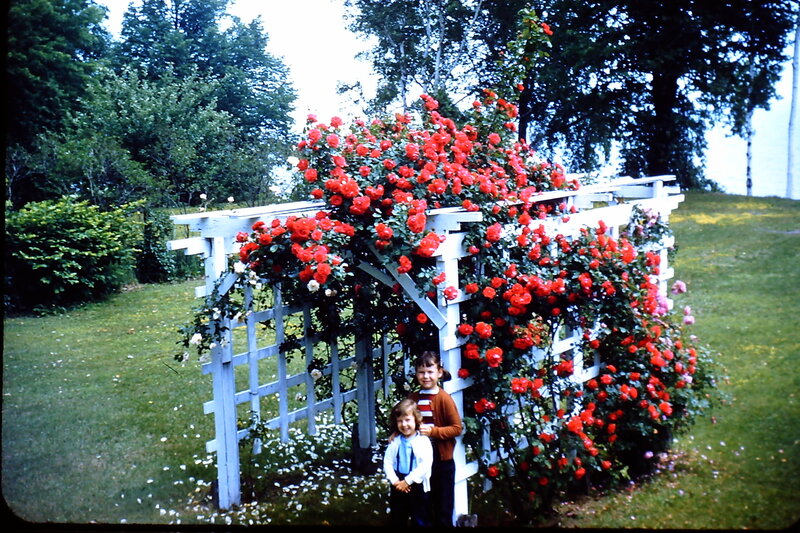 I thought this rose arbor in Gram’s backyard was the most beautiful thing I had ever seen. This is a pic of me and my younger cousin. All of us older cousins have great memories of staying at Gram and Gramps place. I think of it every summer.